A stakeholder is a person, group or organisation that is interested or concerned with an organisation’s project. Stakeholders can affect, or be affected by, your project. Examples of stakeholders include directors, employees, suppliers and unions. As a project manager, I’m sure you have heard the words, “Make sure you get buy-in from your stakeholders” and “Stakeholder Buy-in is critical”. This is easier said than done because stakeholders may support or oppose your organisation’s decisions or processes. Which then begs the question, “How exactly do you translate the words “Buy-in” into meaningful action steps to obtain sustainable stakeholder buy-in? Below is the key principle that drives stakeholder engagement and the 4 steps that I have found valuable in going from words to action. The key principle for stakeholder buy-in is “Continuous Engagement”. An engaged stakeholder is far more likely to participate in and own their part of the success of the project than a stakeholder that is left out in the cold. It is essential to involve all stakeholders in the decision-making process; not only will this ensure their support, but stakeholders can also provide and elaborate on opinions and new ideas that may not already be apparent in the organisation’s structure. Having a few key stakeholders is a good starting point for a project. When it comes to selecting stakeholders, you should target specific stakeholders you want as well as be open minded and inclusive of other stakeholders for the broader perspective of your project. Use the scope of your project as well as the recipients of your expected project benefits to determine and identify the stakeholders of your project. Take into account stakeholders across the entire project lifecycle. Potential stakeholders could be suppliers, employees and customers. Where possible, meet with your stakeholders to understand them better and to test the validity of the engagement level you assigned them. This understanding will help you decide the most appropriate way to engage them. For example, face-to-face, email, group sessions, etc. 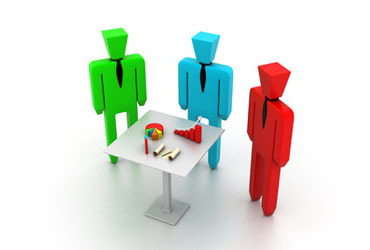 With your plan in hand, all that remains is that you now engage your stakeholders as per your plan. Also remember that the key to execution is to revise your plan as you obtain feedback from you stakeholders. Learn more about project management. ion is to revise your plan as you obtain feedback from you stakeholders.